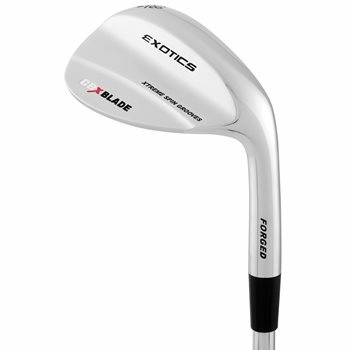 The Tour Edge CBX wedges are forged from S25 carbon steel for superior feel and are engineered to deliver exact distance control, maximum versatility and superior spin. Xtreme Spin Dual-Groove Technology incorporates deeper, narrower grooves in lower lofts and wider grooves in higher lofts for optimal contact and maximum spin. The classic shape and thin topline are combined with a custom DG grind method to provide unsurpassed versatility and control on critical shots around the green.